Just a quick post to show you my latest make. The New Look dress pattern #6145 (I think I got this free with a sewing mag?!) Anyway Lu, my wife, will be going back to work soon after her maternity leave and now it is time to make her some clothes to wear. Remember a post or so ago I said we went to the local fabric shop and she bought a load of fabric? Well this is the result of one of her fabric choices. 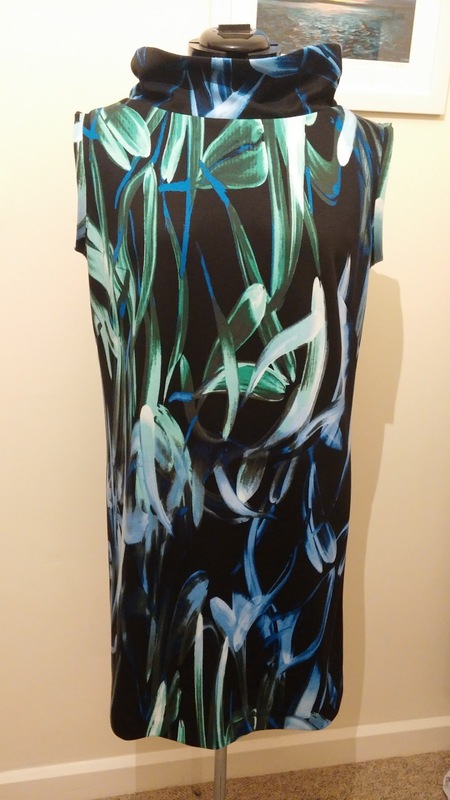 It is a lovely bold print, double-stretch knit so ideal for the pattern. was straight from the envelope! 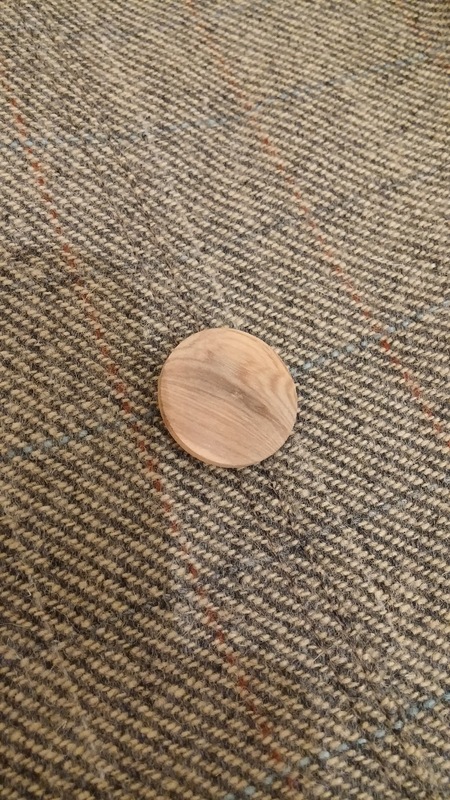 I had fun doing it too; nice and easy but needing a bit of care due to the stretch of the fabric (I did remember to put a ball point needle in this time! What a difference!) The pattern is easy to follow and finishes well. Nice facings and seams without any bother. The high ‘collar’ is lovely and can be worn either up, down or anywhere between. 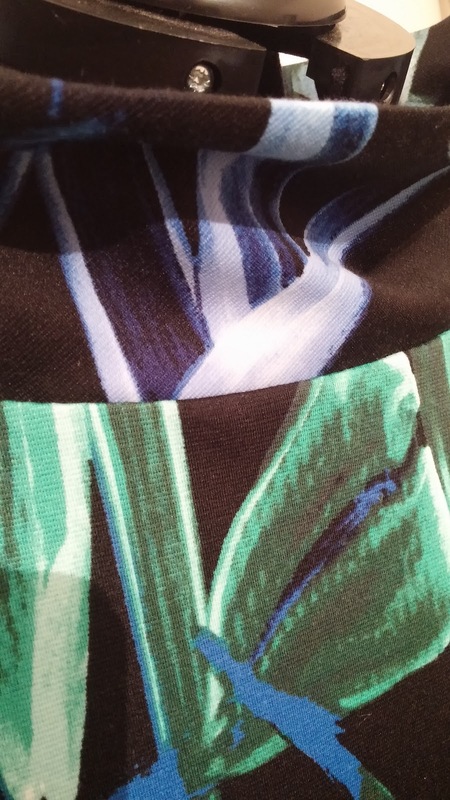 The arms are finished with bias in the same fabric; along with invisible zip and a little kick pleat at the rear of the dress. 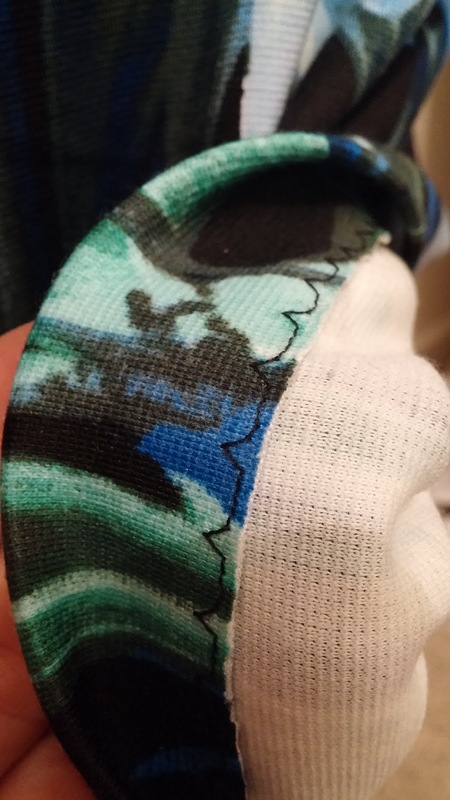 The one thing I did do different from my normal make was to use the blind hem stitch on my machine. Normally I hand stitch hems but thought I would have a go. Wow! It really does work! I think I will pop up a tutorial about this in my next post as I was really surprised how easy it was. 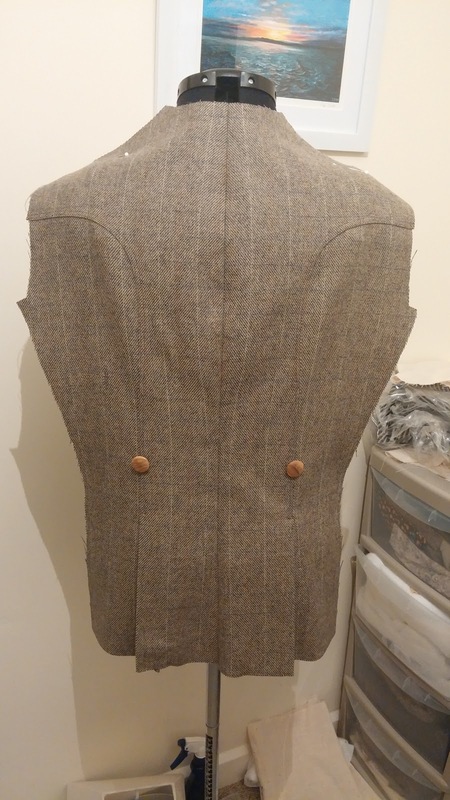 On other things….Iv’e been working on Lu’s riding jacket (Now I have been reliably informed it is a Hacking jacket). Remember Heather from the Great British Sewing Bee? Well she tweeted me and that’s what she called it, so I am sticking to it as she knows about horses..oh and sewing! 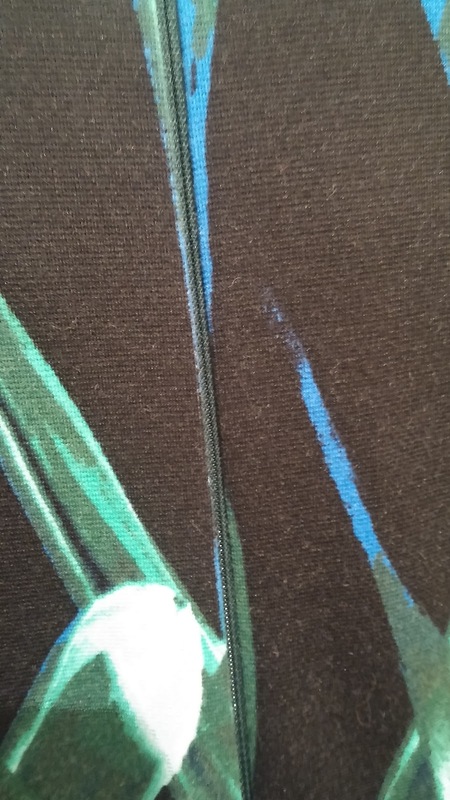 Now is it just me, or does pattern matching really make sewing special? I love it! How funny, I thought to myself that Heather would know about your riding jacket. And how nice that she tweeted you! 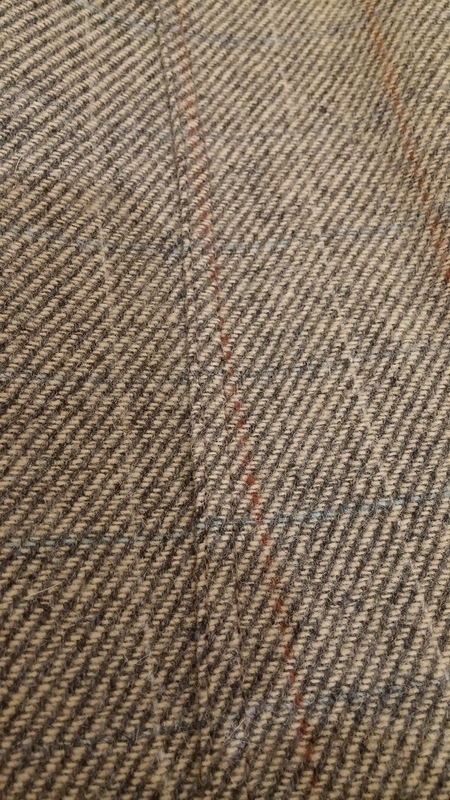 The jacket is really shaping up nicely. I like the fabric you used for the dress, too. Is it lined? I use the blind hem stitch quite a bit, too. It's a nice option. Thanks Su-Z. The dress fabric was picked by my wife so no credit there! No not lined as it is fairly heavyweight so can't see through even when stretched. Yeah I must use the blind hem stitch more often I think!